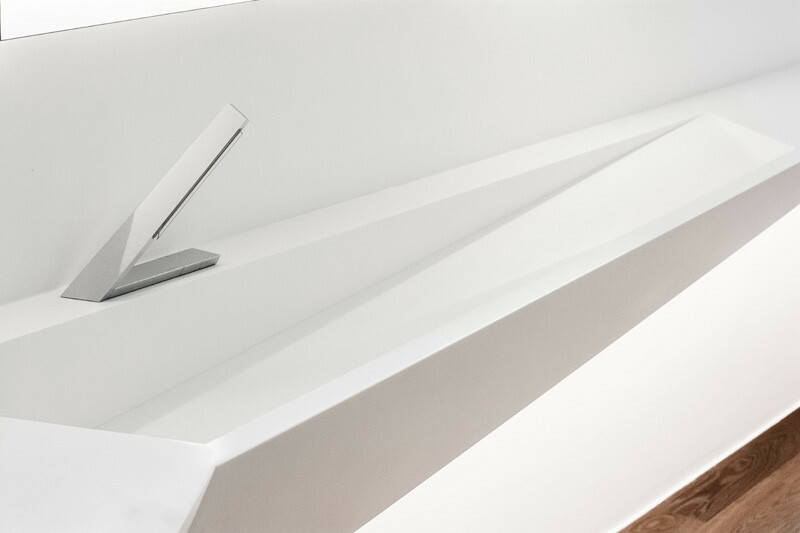 Last year, Austrian creative studio Who Cares?! 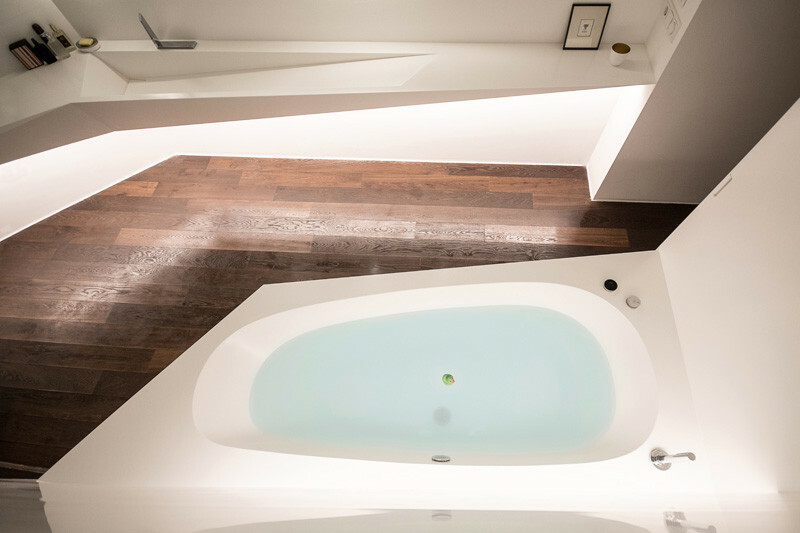 Design, created the Ice Bed, and now they’ve sent us their latest design, the Ice Bath, a bathroom that takes inspiration from the shape of ice. 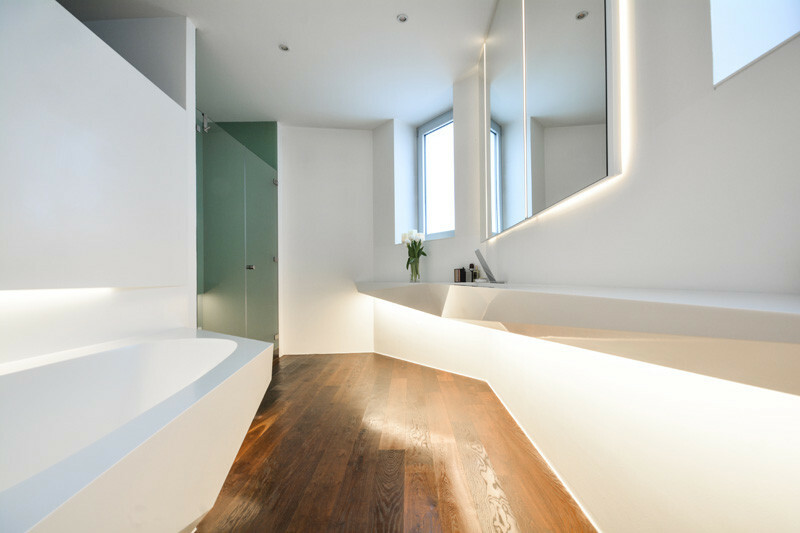 The white bathroom has a seamless sink that floats along one length of the wall. 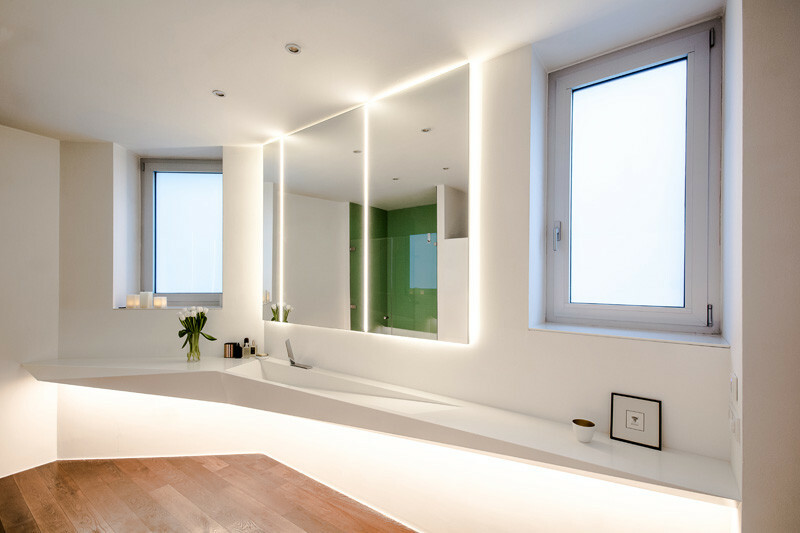 Indirect lighting illuminates the space, with a full RGB-LED color range, allowing for the lighting to be changed depending on the mood. 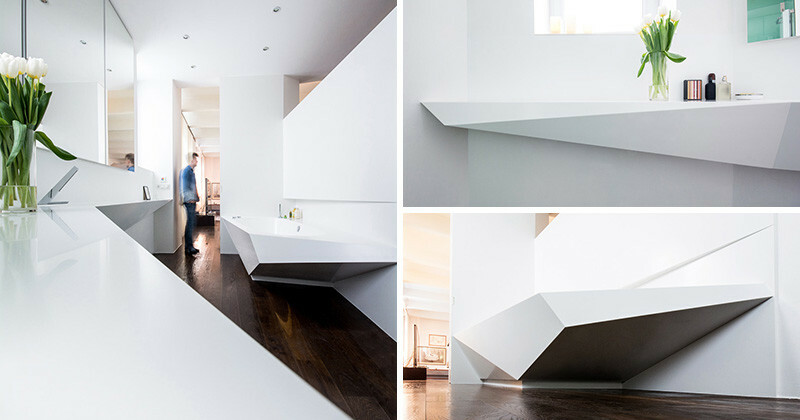 The angular sink is sloped seamlessly from the vanity. 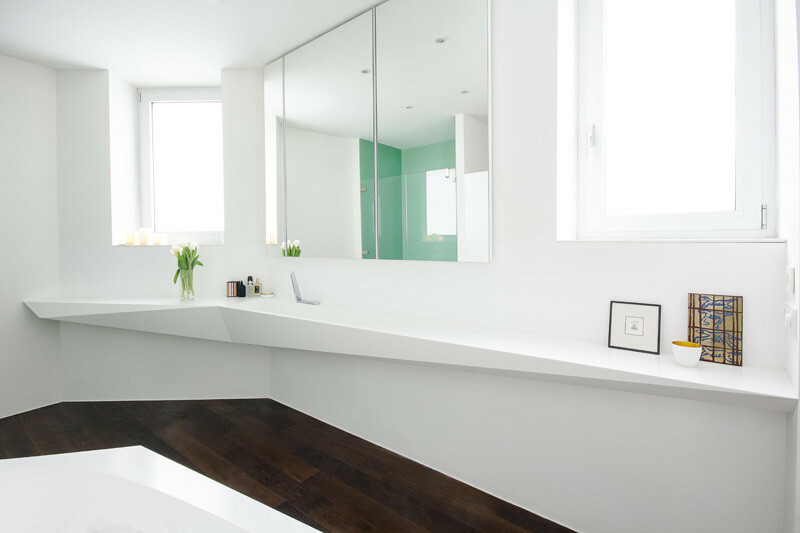 The floating bath was created with Corian, and features smart controls, allowing you to create your personal settings by using the inbuilt Viega system. 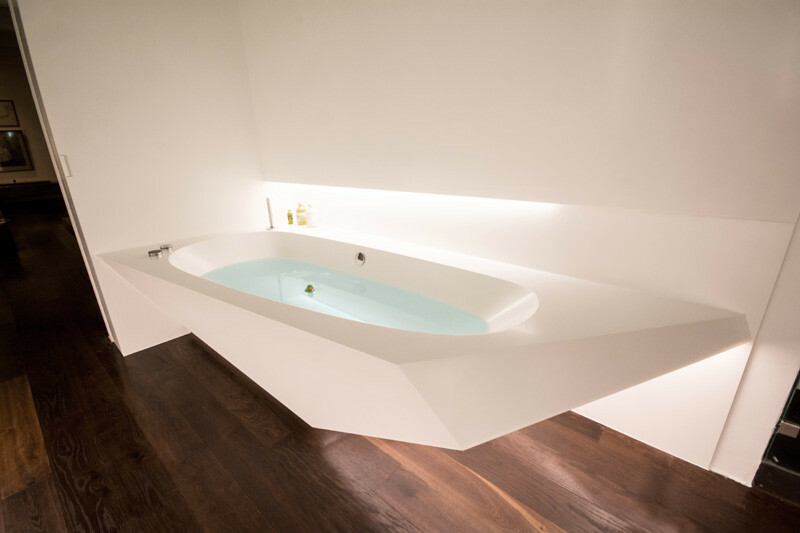 Instead of having a traditional faucet fill the tub, the bath fills from the bottom, so you don’t hear the bath running. 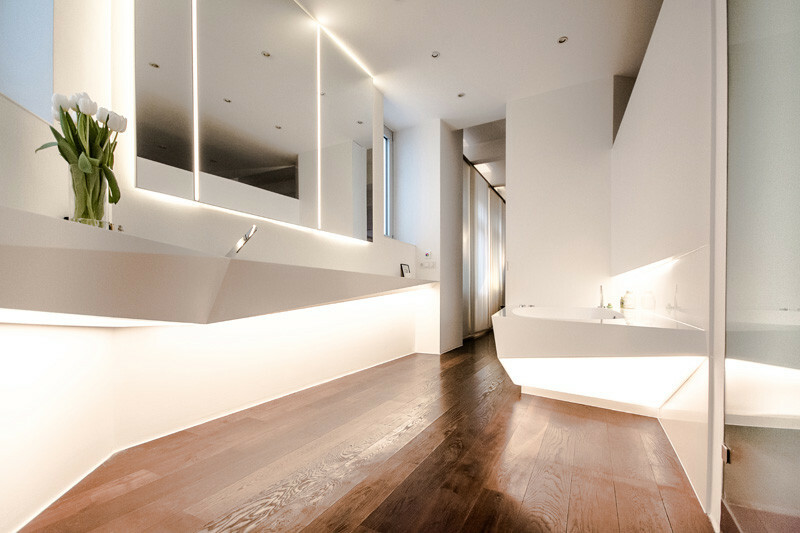 The wooden floor of the bathroom is a perfect contrast to the bright white of the vanity and bath. 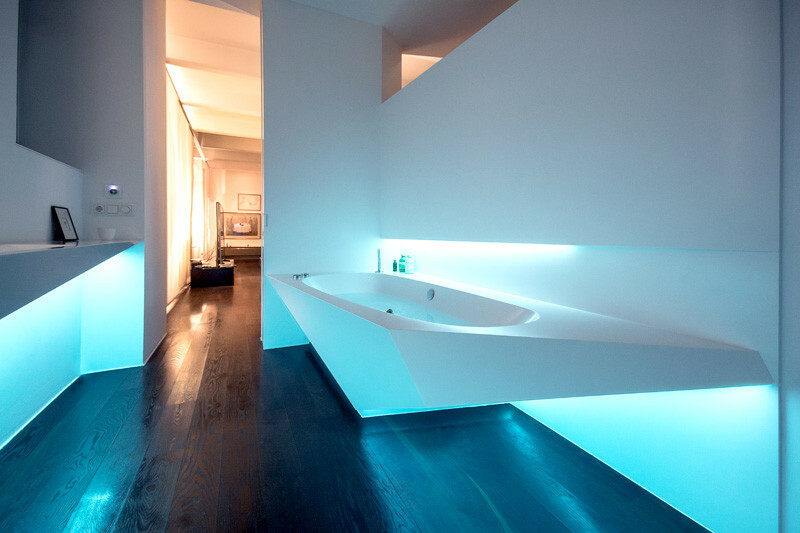 Here you can see how the lighting color has been changed to blue.